PINKHAM NOTCH, NH (Courtesy of Dan Houde) – The Automobii Lamborghini America made a visit to the Mt. Washington Auto Road on the Lamborghini Giro, an annual tour taken on some of the most scenic roads in America. 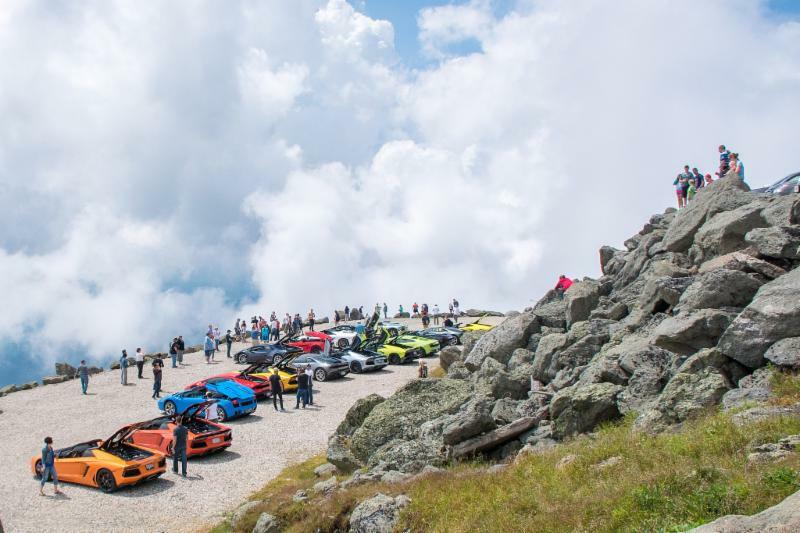 Owners of twenty-four Lamborghini’s, a mix of mostly 610HP V10 Huracán’s and the 700HP V12 Aventador’s, enjoyed lunch at the base of the Mt. Washington Road and Great Glen Trails after enjoying a thrilling ride to the summit of the highest peak in the Northeast.